Размер на този PNG предварителен преглед на изходния SVG файл: 800 × 500 пиксела. Други разделителни способности: 320 × 200 пиксела | 640 × 400 пиксела | 1024 × 640 пиксела | 1280 × 800 пиксела | 1600 × 1000 пиксела. 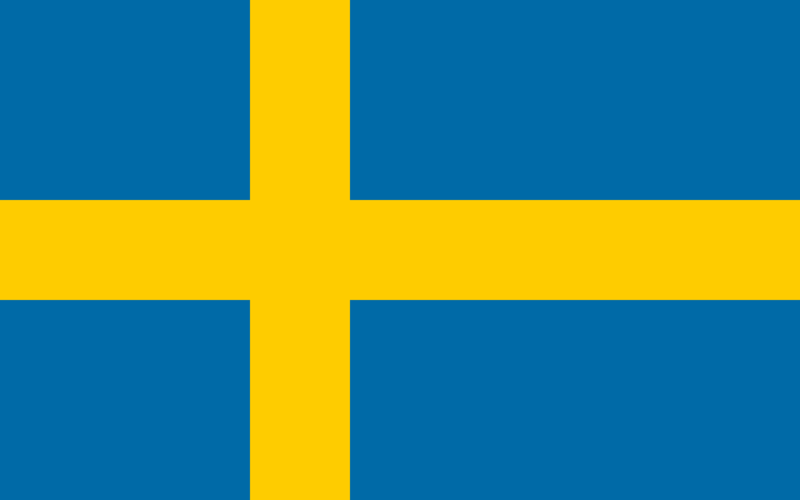 Източник This flag is regulated by Swedish Law, Act 1970:498, which states that "in commercial activities, the coats of arms, the flag or other official insignia of Sweden may not be used in a trademark or other insignia for products or services without proper authorization. This includes any mark or text referring to the Swedish government which thus can give the commercial mark a sign of official endorsement. This includes municipal coats of arms which are registered." 21:21, 3 февруари 2009 1600 × 1000 (399 bytes) Wiklas Reverted to version as of 22:39, 17 March 2007, see discussion.